After a long and very competitive season in the Alliance, we have finally reached the week that so many of these players have been waiting for. This Saturday will be the OHL Priority Selection, where many of these players will have their names called and for some, find a new home for themselves as early as this fall. For the 2003 born age group, it was a solid bounce back for the Alliance after a bit of a dip last season. While last seasons selection saw 37 players selected, it was the absence of some top talent in those early rounds that was quite noticeable. This season, the Alliance should see at least one player selected in the opening round while some people have speculated that as many as four skaters from the Alliance loop could be called in the first 21 picks. When it comes to my personal rankings, this was a hard one without a doubt. Any player from 4-10 could easily have been flipped with legitimate reasoning. Saturday will be a busy time for the Alliance players. No more delay, here is the final Top 25 Alliance Player Rankings. With the Cambridge Hawks still awaiting word of who they will play against in the Alliance OHL Cup Play-In series, a couple of players will get some game action in this week. Goaltender Jet Greaves and defenseman Jagger O’Toole will be on the ice for the Jr. B Cambridge Winterhawks this week according to head coach Dan Fitzgerald. O’Toole is expected to play tomorrow against Listowel while Greaves will start in net Friday night as the Winterhawks travel to Listowel for another contest. Greaves has been one of the standouts for the Hawks during their playdown run this season. He had a stellar series against the Elgin-Middlesex Chiefs and then, despite being swept, Greaves had some great games against the top ranked London Jr. Knights. Greaves postseason record sits at 3-3 with a solid 2.67 GAA and a .911 SV%. In his lone game with the Winterhawks this season, Greaves took on Listowel back in October. Greaves allowed one goal while making 28 saves, falling to the Cyclones 2-0. O’Toole has played in five of Cambridge’s postseason games thanks to a two game suspension he received in game one against London. In those games, O’Toole tallied one goal and two assists to go along with 33 penalty minutes. O’Toole suited up for the Winterhawks back in November against Stratford and did not register a point. Wow has it been a long time since anything has been posted here. Still feels like yesterday that I was in Toronto taking in the OHL Cup and still doesn’t feel all that long ago that the Alliance playdowns were getting underway during a blizzard in Perth County. With that said, the 2015/16 season produced some memorable goals and some fantastic games. It is hard to believe that tryouts for next season are getting started in the next week or two. Before we shut the door on this past season, I thought it would be apt to hand out some season end awards to those deserving of the praise. Some may be obvious while others may be a bit of a surprise. These were not easy decisions for some, but others just stuck out in my mind like a sore thumb that they should be recognized accordingly. This was an easy one, although it was far from easy for the Wolves. Waterloo battled London tooth and nail down to the end before clinching their third straight Minor Midget Alliance championship. The biggest takeaway from the series was the depth that Waterloo had on their roster. Like guys like Liam Hartman and Mason McMahon missing most of the season and Mitch Hoelscher banged up for the final couple of games, others stepped up to help give Waterloo just enough to claim victory. The Alliance will take a break this coming weekend to showcase all of the talent in the association with their All-Star Weekend festivities in Waterloo. The Minor Midgets take centre stage with a four team tournament while the Bantams and Midgets will send their best out there in a single exhibition game. What many would call the biggest tournament of the year began this evening as the Silver Stick tourney kicked off in Whitby. 30 teams will compete as a countless amount of scouts take in the action as these athletes and afforded the opportunity to show what their individual games have to offer. 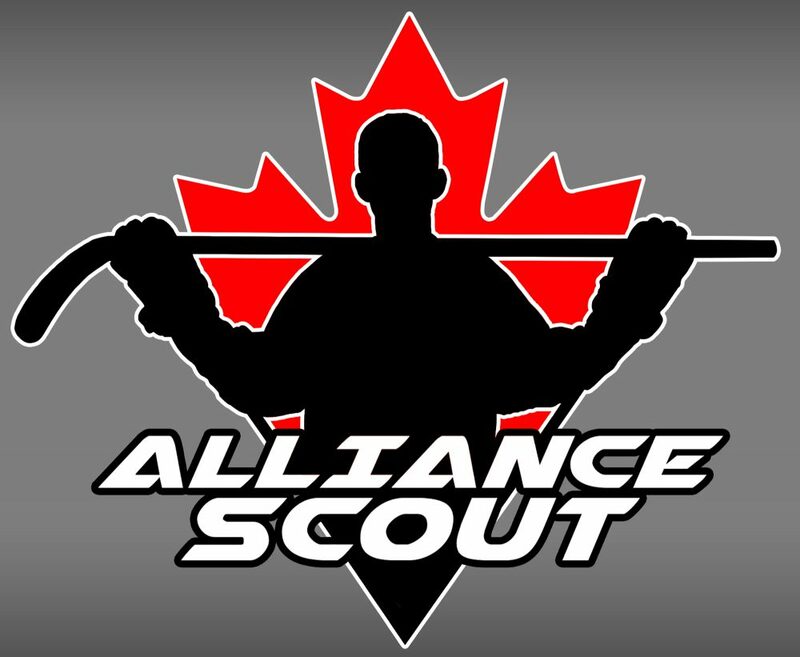 Alliance Scout will be in attendance for most of the weekend to check in on the Alliance squads. Here is what went down on Thursday night. It really becomes apparent that the hockey season is in full swing when the OHL releases their first set of rankings for the 2016 OHL Cup. That’s exactly what happened today as the week one rankings were revealed. There were only a few surprises in the rankings and we saw two Alliance teams make the cut.